London: The All England Lawn Tennis Club, home to the Wimbledon championships, announced on Friday that players will go into a final set tie-breaker once tied at 12-12 in the decider from 2019. Historically the fifth set of Grand Slam events (except for the US Open) has been decided by a two-game advantage, but now Wimbledon has joined the US Open with a much easier two-point advantage being the new deciding factor for final victory in a tied match, reports Efe news agency. “The All England Lawn Tennis Club (AELTC) is pleased to announce the introduction of a final set tie-break for all Championship events, commencing at The Championships 2019,” the tournament said in a statement on its website. In order to change the rules, the organizers went through data related to matches played at the All England Lawn Tennis Club over the past 20 years, involving both officials and players in the decision-making process. 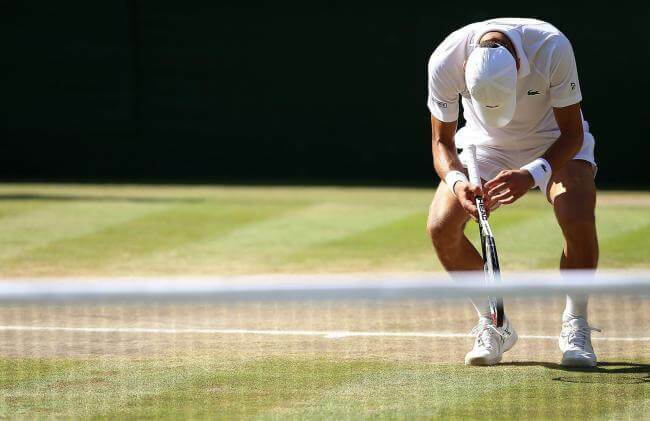 “Our view was that the time had come to introduce a tie-break method for matches that had not reached their natural conclusion at a reasonable point during the deciding set,” the tourney website cited AELTC Chairman Philip Brook as saying. “We feel that a tie-break at 12-12 strikes an equitable balance between allowing players ample opportunity to complete the match to advantage, while also providing certainty that the match will reach a conclusion in an acceptable time frame,” he added.